As you stroll along Front Street in San Pedro, there are several great breakfast spots that allow you to watch the incredible sunrise over the horizon. 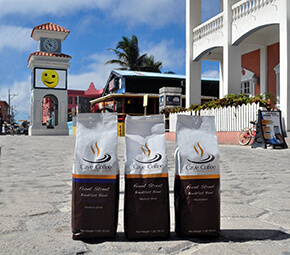 Front Street-Breakfast Blend-Caye CoffeeOur Breakfast Blend compliments those incredible views with a smooth and aromatic cup that says it’s time to start the day off right. Front Street Breakfast Blend is our lightest roast that is packed with full coffee flavor and enhances the whole experience of an early morning on the beach in San Pedro.